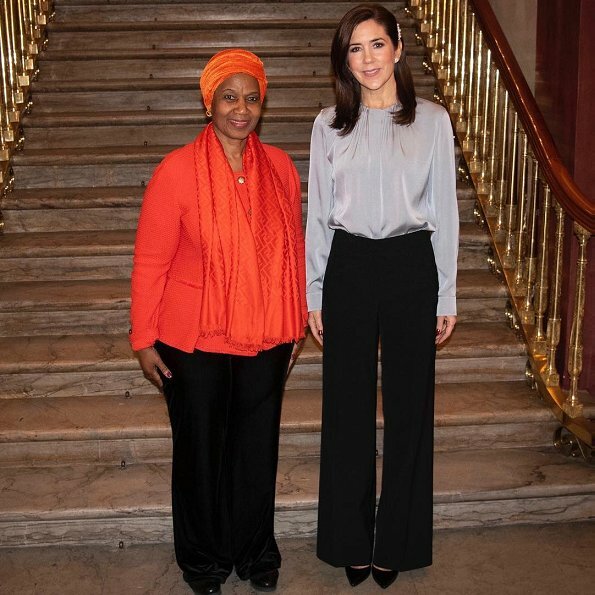 On January 24, 2019, Danish Crown Princess Mary received United Nations Under-Secretary-General and Executive Director of UN Women, Phumzile Mlambo-Ngcuka at Frederik VIII's Palace, Amalienborg. 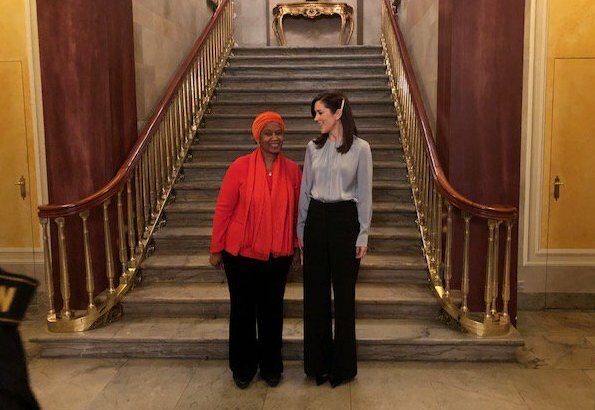 At the meeting, Executive Director Phumzile Mlambo-Ngcuka told UN Women's ongoing activities and priorities for ensuring equality between men and women. In addition, she mentioned the difficulties the organization encounters during its global activities. The level of elegance is high! Beautiful outfits on both ladies; an superb example of feminine, yet businesslike, dressing. So elegant, she can wear grey, and it's not an easy color, and make it shine!! That´s indeed a very elegant outfit. It is simple, but the fit is perfect. This is what trousers should look like in my view. This silhouette is a million times more attractive than the cropped skinny style that (unfortunately) is so trendy right now.